Our team of experts includes a Master Gardener and a Certified Arborist, ensuring we have the professional chops and knowledge in house to help maintain all aspects of your landscape – from lawn to laurels. Trees define your landscape by adding shape, color, and interest year-round, not to mention benefiting your lawn by producing oxygen and shade. Regular pruning of trees will help with the appearance of your landscape, fight against diseases, and help to minimize storm damage to the tree (and your property). 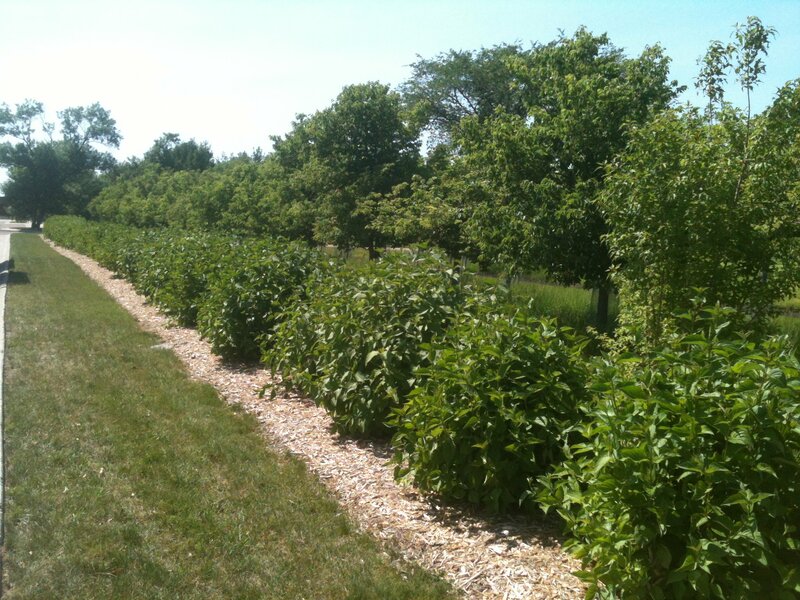 Our skilled team knows how to correctly prune your trees to keep your investment healthy and beautiful. With the right care and grooming, shrubs can be a beautiful addition to a healthy lawn. 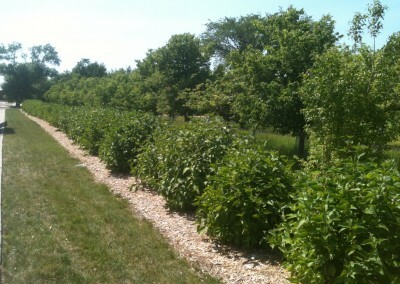 Our knowledgeable staff can help produce and maintain beautiful shrubs with simple techniques which will keep shrub overgrowth in check, improving their appearance and promoting healthier development. 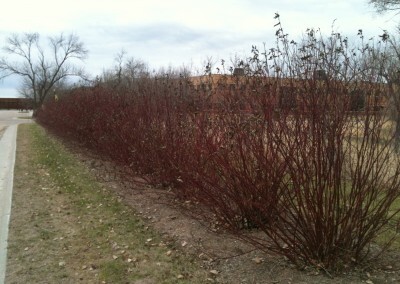 Old, neglected shrubs can quickly become an eyesore as they become overgrown and filled with dead stems. 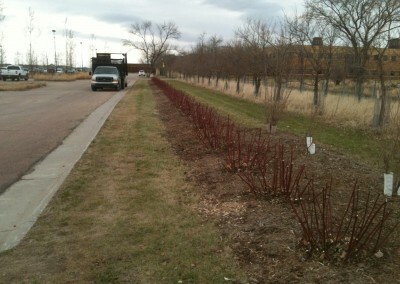 But there’s no need to go ripping them out just yet – A little shrub rejuvenation can go a long way. 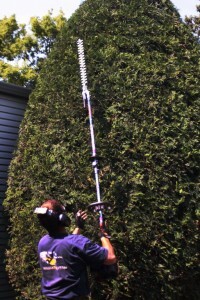 Instead of the expensive and time-consuming process of planting a new shrub, our team can cut out dead branches and reduce the shrub to a reasonable height. Once rejuvenated, regular trimming will keep the shrub full, healthy, and looking great. 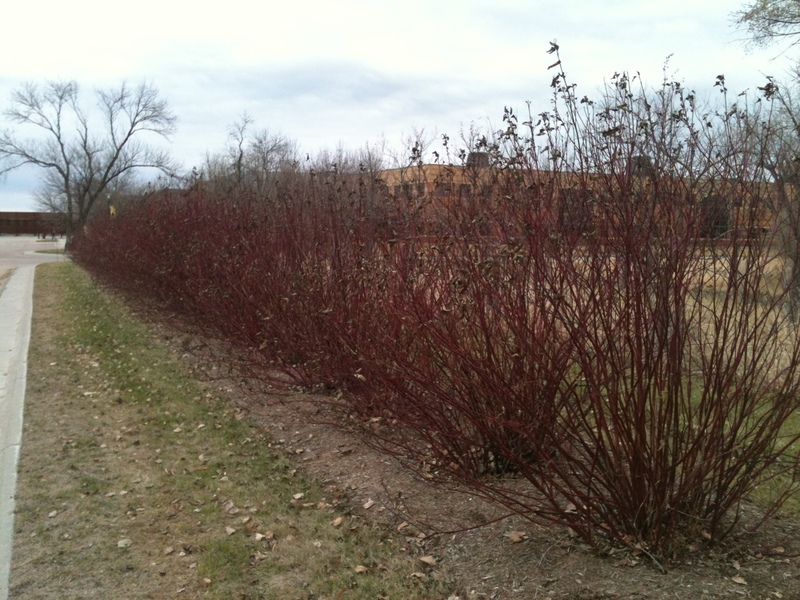 With careful and intentional pruning we were able to coax beautiful dogwoods out of the overgrown mass of sticks you see in the “Before” pictures, saving the property owner the expense (and mess) of ripping them out and replanting. 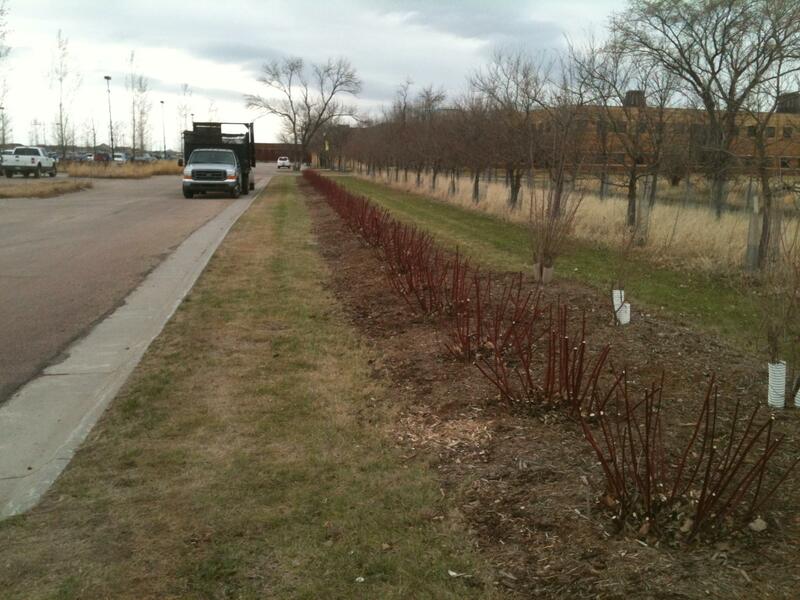 Just a little regular maintenance, and these shrubs will continue to make a positive contribution to their surrounding landscape for years to come. Click on any of the images to see take a closer look!